Achieving increased added intelligence from customer behavior and applying it to automated marketing campaigns is every marketers goal. With Watson Campaign Automation (WCA), you already know you are delivering impactful campaigns by leveraging its insights and capabilities. By infusing AI-powered Watson Customer Experience Analytics (WCXA), you can inject even more intelligence into your marketing campaigns with deep customer insights that will produce improved segmentation and better yields. Journey Analytics provide you with an aggregate view of the customer journey across time, devices and channels. Presenting you with valuable insight that you can leverage to quickly resolve potential issues, increase conversions and optimize every journey to create loyal customers. 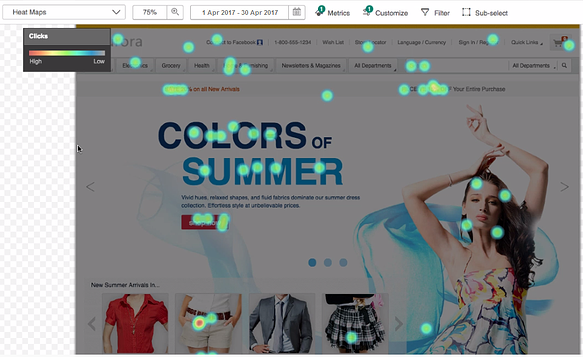 Behavior Analytics helps you visualize and understand user experience; it displays and captures customer data through heat maps, session replays and form analytics. These capabilities can quickly identify areas of customer struggle and enable you to remarket to customers who may have abandoned based on user experience issues. Struggle Analytics allows you to rapidly detect and analyze customer struggle on your website in real time. It works to recognized patterns or repetitive activity that could indicate customer struggle and provides the ability to quickly identify issues that cause customer friction. By detecting your customer struggle points, you can swiftly take corrective action to rectify issues, uncover areas of opportunity and optimize your customer experiences. Geospatial Analytics recognizes and assists you in understanding where geographically customers are engaging or struggling with your business. This aids in identifying key geographical areas for improvement and allowing you to make more informed business decisions on a global level. Using IBM’s Universal Behavior Exchange (UBX) you can easily share data between Watson Campaign Automation (WCA) and Watson Customer Experience Analytics (WCXA). By passing data from Watson Campaign Automation you provide critical data to build customer journey reports. Conversely, passing data and audiences from WCXA to WCA enables automated campaign execution based on insights developed through WCXA. The key to a successful customer journey is having the appropriate data to better understand your customer. By leveraging AI powered Watson Customer Experience Analytics (CXA), you achieve a greater understanding and view of how customers interact in journeys across time, devices and channels. It supplies you with meaningful insight into your customers’ interactions, so you are well equipped to quickly resolve potential issues, increase conversions and optimize every journey to create loyal customers. Allowing you to make better, faster and smarter business decisions across customer touch points and recognize a return on investment (ROI). Learn more about enhancing the customer journey by downloading a copy of the IBM’s Whitepaper, “How to use Customer-Level Data to Supercharge Customer Journeys”, by clicking here. Gain the insights you need to enhance customer journeys, boost conversions and maximize lifetime customer value by downloading our eBook, “Watson, Can You Help Improve Digital Customer Experience?”. Our eBook is a compilation of the top 10 use cases you can apply to improve your digital intelligence and optimize your overall customer journeys. Put customer insights work with IBM Watson CXA. Please click the tile below to download the eBook. As a marketer leveraging Watson Campaign Automation (formerly known as Silverpop), you already realize the benefits of engaging your customers with compelling automated marketing campaigns powered by increased intelligence. But, what if you could infuse even more intelligence into your automated campaigns and deliver further impactful marketing and increased results? Now you can with a new integration with Watson Campaign Automation and Watson Customer Experience Analytics technologies that allows you to create more informed automated campaigns using powerful customer insights. Behavior analytics that help you visualize the complete cross channel journeys your customers take with your brand across devices and over time, helping you to readily analyze the different behavior patterns and paths of your customers. Analyzing customer behavior offers the opportunity to quickly identify high-performing customers, as well as isolate those customers who struggle, and drill deeper to gain the insight you need to improve business outcomes and maximize conversions. 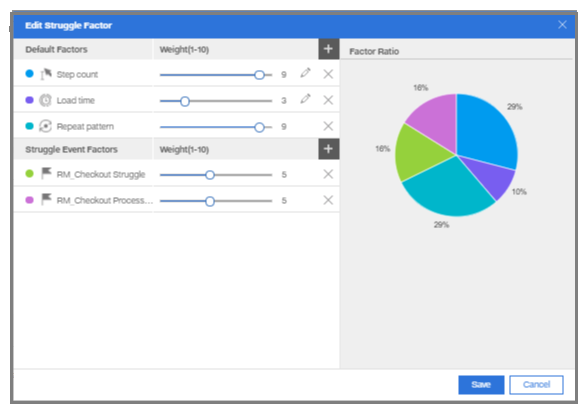 Struggle analytics that work to recognize paths, patterns or repetitive activity that could indicate customer struggle and provide the ability to quickly identify issues that cause customer friction. By recognizing your customer struggle points, you can rectify issues and launch targeted marketing actions to recover lost sales opportunities and optimize experiences to create delighted lifelong customers. Advanced segmentation that allows you to drill down further into customer behavior and understand what events impact your customers’ actions across the various stages of the buying cycle. The ability to segment you customer data helps you further understand your different customer sets and how they are performing and behaving. By recognizing unique behaviors, you can offer relevant marketing messages and product recommendations to maximize cross sell, upsell and customer win back opportunities. 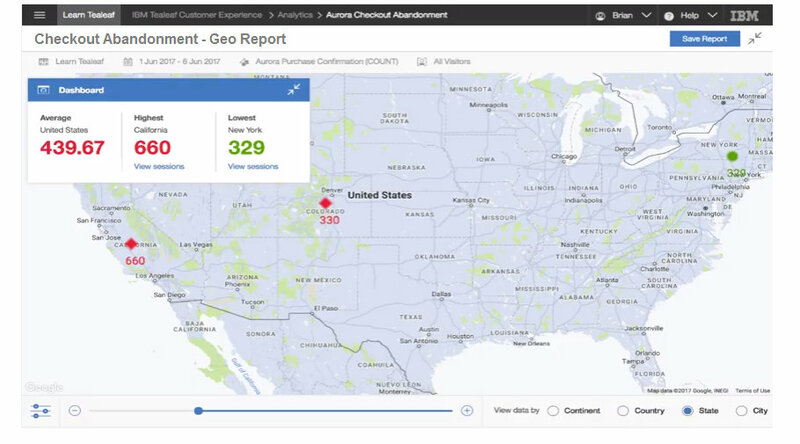 By combining the Watson-enabled capabilities of Watson Campaign Automation and Watson Customer Experience Analytics, you can benefit from more behavior-based segmentation capabilities that you can use to augment campaign performance, as well as gain increased visibility and insight into your customers’ behaviors that you can leverage to optimize your paths to purchase and reduce customer struggle. At the same time, the integration of diverse data helps you to deliver relevant messages at the right time to help your customers along their buying journey and increase the effectiveness of your marketing campaigns. Ready to inject the power of Watson Customer Experience Analytics into your automated campaigns? Behavior-based personalization to increase conversion rates and slow attrition. Deliver product recommendations to help engage, cross-sell, upsell and win back customers. To learn more about advancing your automated marketing campaigns with Watson Customer Experience Analytics or to register for our webinar, please click the tile below. This blog provides insight and tips on Customer Experience Analytics, especially in the usage of Watson Customer Experience Analytics (WCXA) and Tealeaf software to optimize web and mobile experience.